Journal Ideas for Middle School Students — By the time children are in middle school, they’ve learned how to start writing their ideas on paper. From middle school, on into high school and college, students will get many essay assignments on different topics. 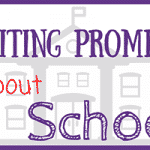 Writing regularly gets children used to expressing their ideas, and can get them familiar with many different styles of writing, including expository, descriptive, and persuasive writing. 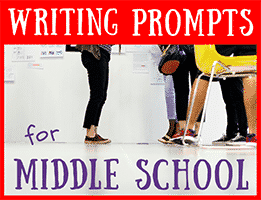 Using writing prompts for middle school students offers a fun, creative way for kids to explore their writing skills and their ability to take thoughts and express them in written form. Holding the attention of middle school students can be tough, but creative writing prompts keep students motivated and interested in writing. 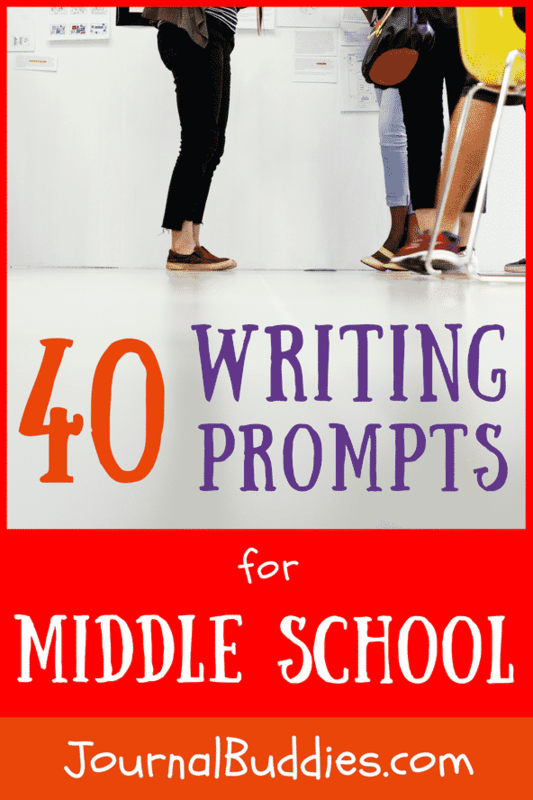 Use the following writing prompts for middle school students to help them build important writing skills while improving their ability to express their unique thoughts and ideas. In essay form, discuss how going through disappointments can have a positive side. Write about someone you care about and why they are so important to you. Playing a team sport can have both good and bad points. Explain both the good points and the bad points about playing on a school sports team, explaining every point. Think about someone you look up to. Write about this person and why you admire this person. Imagine your school is considering making all students wear uniforms. Do you think this is right or wrong? Write a letter to your school giving your position on this subject and supporting your position with convincing reasons. Explain your reasons. Think about your favorite sport or hobby. Write a composition about this hobby, explaining how to engage in this activity. Be sure to include all the steps someone needs to follow to do this activity. Think about the favorite thing that you own. Write a descriptive essay to describe this item using words that explain how it sounds, looks, smells, tastes, or feels. Describe it so someone else can picture it in their mind. Write an essay persuading a friend to stop doing drugs. What character from a book would you enjoy meeting and why? Imagine you worked at a pet shop. What would happen and what would you do if 200 mice got out of their cages in the pet shop? If you could travel into the future, what would you do? What things make you feel angry and why? If you were president, what one thing would you like to change in this country? What is your favorite commercial on TV and why is it your favorite? Do you ever remember what you dream? Do you dream in color? Write about a very vivid dream that you remember. Write about a big argument you had with a friend. Are you friends today? Who was the first to apologize? Do you think it is an insult to use the expressions “throws like a girl,” “runs like a girl,” or “hits like a girl?” Defend your position. Do you really need to have a college education to be successful? Why or why not? Write an essay on what friendship means to you and why people become friends. Do you think that social media is a positive thing? Write an essay discussing why or why not. “You must do the thing you think you cannot do,” is a quote by Eleanor Roosevelt, a former First Lady of the United States. Write a narrative about something you did that you didn’t think you could do. Include specific details. If a celebrity was to come speak at your school, what celebrity would you choose to speak? 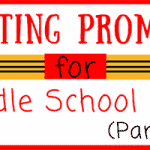 Write a letter to persuade your school principal to invite this celebrity to speak. Include important details and convincing reasons to support this choice. 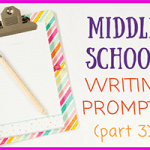 Write an essay that explains the ways you have changed since you started middle school. Write an essay describing why honesty is so important in any type of relationship. What is your greatest accomplishment and why do you feel it is your greatest accomplishment? What is your favorite hobby? Write about why you enjoy it so much. Have you ever been bullied? Talk about a time that you were bullied or when you witnessed someone else being bullied. How did this make you feel? Did you ever have to wear something that you hated? Why did you hate it? 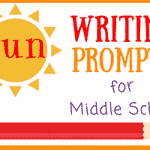 Write about a time that you went on a vacation or trip that turned into a disaster. Write about a time that you tried helping someone but it actually made things even worse. Have you ever broken a promise? Why did you break it? How did that make you feel? Have you ever been through a hurricane, flood, tornado, or fire? If so, describe what happened and how you felt. Write about the funniest experience you have ever had. If there was one law you could change, what law would you change and how would you change that law? If you got the chance to be principal for one week, what would you do? Have you ever wished that you could be older? What would the benefits and problems be if you were older? Write a biography of one of your parents or grandparents. Write about three things that you worry about. 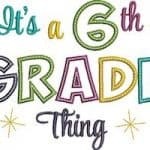 Write an essay on the most difficult things about being in middle school.